Vestibular neuronitis, also called neuritis, is an infection of the vestibular nerve in the inner ear, and vertigo is one of its main symptoms. This article will take a closer look at this condition and then discuss an area of care proving to be effective in curing it and vertigo, as well. 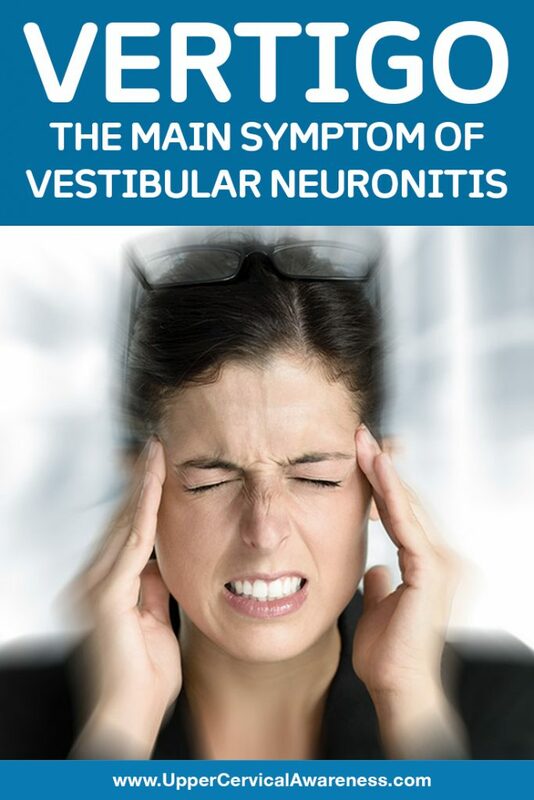 When we talk about vestibular neuronitis, we are talking about a condition in which the vestibular nerve (the nerve helping to control your balance) has become inflamed and causes you to have issues with staying upright and feeling balanced. Often, the term labyrinthitis is used interchangeably with vestibular neuronitis. However, they are not exactly the same thing. If you have labyrinthitis, you will have hearing loss in addition to your balance problems and dizziness. Most cases of vestibular neuronitis go away within a few weeks. Bed rest and medications may be recommended in the beginning by your primary care doctor. You will gradually be able to return to your normal daily routine. However, in some cases, this condition persists, and you may need help from a professional. As mentioned, vertigo is one of the main symptoms of vestibular neuronitis and probably the most difficult to deal with. Vertigo is the sensation that you or the things around you are spinning about. Vertigo always has a rotational component and a sense of motion even though you are standing still. It may make you feel nauseated or even vomit. You may have difficulties concentrating and have blurry vision. Depending on the person and how bad the infection is, the symptoms can range anywhere from mild to severe. You may feel as if you cannot even remain upright for the first few days. For the majority of people, symptoms usually appear suddenly or you may notice them when you wake up in the morning. After a few days pass, you can usually begin to move around, but you will still have dizziness and get fatigued very easily. Even after a few weeks have gone by, you might have bouts of dizziness when you are being active, especially when you are away from home. Keep in mind you should avoid driving, operating heavy machinery, climbing ladders or onto high places, and using dangerous tools until your dizziness is completely gone. Vestibular neuronitis usually comes about after you have had the flu, a cold, or a sore throat. It is due to inflammation of the vestibular nerve because of a viral infection. It can also be caused by a bacterial infection, such as a middle ear infection or meningitis. This is rare, however. Sometimes bacteria can get in your inner ear if you have had a head injury. How Is Vestibular Neuronitis Diagnosed? You’d be surprised at just how many conditions have vertigo as their main symptom, making vestibular neuronitis difficult to accurately diagnose. Your primary care doctor will ask about your symptoms, consider your medical history, and give you a physical exam. You may be prompted to move your head or your body in a certain way, and your ears will be checked for inflammation and infection. Your doctor will probably check your eyes to see if they are moving uncontrollably. This is called nystagmus and is an indicator your vestibular system is not working at its optimum. The symptoms will usually begin to settle after a few weeks, but there are a few self-help ideas you may want to employ to help reduce the severity of your symptoms and speed up your recovery. Medication is not going to help you get better any faster, but it may reduce the severity of the condition. If you are nauseated, drink lots of water to help stay hydrated. Don’t drink a huge amount all at once. But drink it a little at a time and all throughout the day. If you have vertigo, stay in bed so as not to fall down and hurt yourself. This should only last for a few days. Never use tools or machinery, drive a car, or work high up if you have vertigo. Once vertigo has settled, begin taking small walks outside as soon as possible with assistance. This may make you feel dizzy at first, but your body will begin to compensate. It will not make your condition worse to become active. Avoid distracting environments like supermarkets, shopping malls, and busy roads. Some people suffer from vertigo for months or even years. This is referred to as chronic vestibular neuronitis. This occurs because something is hindering the vestibular nerve from recovering. It has been seen that a misalignment in the bones of the upper cervical spine can be to blame for this. Upper cervical chiropractors are specially trained to find these misalignments and then correct them using a method that is gentle and precisely tailored to each patient. This helps the bones of the neck move back into place without the need for popping or cracking any part of the spine. This alleviates the pressure that was being put on the brainstem due to the misalignment and restores communication between the brain and the body once again. A case study observed 60 people who had chronic vertigo. After receiving care from an upper cervical chiropractor, 48 of them reported their vertigo was gone completely. The rest saw a great improvement in the frequency and intensity of their symptoms over the next six months of care. If you are plagued by vestibular neuronitis or another condition causing vertigo, this may be the answer you are searching for.